Gujarat contributes to about 30 per cent of India’s paper production and all its paper mills except one are recycled paper-based. Traditionally, most of these paper industries were concentrated in two pockets: South Gujarat (between Ankleshwar and Vapi) and Central Gujarat (between Gandhinagar and Mehsana). While the recycle paper-based industries are considered eco-friendly in terms of their resource consumption for generating paper, they generate lots of plastic waste. When magazines and high-end glossy publications are sent to the pulping machine, the plastic coated on the front page is separated from the paper, either manually or through an automatic system. Typically, plastic is around 1-2 per cent of the total paper that goes into the pulping machine. Considering the total recycled paper production in and around the Vapi industrial area in South Gujarat, approximately 400 MT of plastic waste used to get generated. There were some efforts made to make some useful products like plastic roofs, benches, etc from this waste plastic but couldn’t succeed due to various techno-commercial reasons. Such plastic waste is very dirty, dark-coloured, has different shapes and sizes and creates nuisance on the whole. Traditionally, this waste was collected and stored at a place outside town. Its disposal therefore was a big issue and most industries either used to dump it into Vapi’s landfill developed for the disposal of the industrial hazardous waste or would make heaps of it at a location outside town, in remote locations, where it would be stored for months. Such heaps would catch fire and would burn for days, generating toxic fumes in addition to greenhouse gases. This illegal practice continued for several years. In the latter part of 2010, the Gujarat Pollution Control Board (GPCB) finally said “No” to the practice, forcing industries to think of alternatives. At first, not having a back-up plan, the industries approached the GPCB management, asking its permission to allowing them to dispose of the waste at a landfill in Surat, about 120 km to the north of Vapi. It was then that the GPCB realised that a scientific solution to the problem would have to be developed. One aspect which was evident to them was that the plastic waste had very high calorific value—much higher than coal. It was also evident that on the one side, India being an energy-deficit country, imported energy in the form of coal, natural gas and crude oil and for that, spent lots of foreign exchange. On the other side, the energy in the form of such wastes remained untapped. This fact made the GPCB management think in the direction of utilising the plastic waste as an alternative to energy. a) Lack of incentives to cement industries to use such wastes. The industries also did not have a mindset to use such waste as an alternative fuel and lacked the will and basic systems for co-processing of wastes. b) Plastic waste generated from paper industries had a high moisture content of 70 per cent. This prohibited its use as fuel. c) The plastic waste was stored in loose form, which made the heaps so bulky that it would cost a lot to transport such wastes for long distances to where the cement plants were located. d) Lack of proper storage facilities at cement plants. e) Loose plastic waste having irregular size and shape was difficult to be used alongwith coal in cement kilns as the feeding system couldn’t accept it. a) Cement industries, being one of the highest greenhouse gas emitters, were issued notices to work out an action plan on adopting the co-processing of waste as thermal substitute in their kilns. b) The GPCB inserted a specific provision towards subsidising the adoption of co-processing facilities in the environment chapter of the Industrial Development Policy of Gujarat. c) Bi-monthly review meetings were started between the top GPCB management and the waste generators namely paper industries associations and cement plant representatives to jointly work on each of the challenges. d) The technical officers of European and Asian cement plants where co-processing had been adopted successfully, were used to train their peers in Gujarat. e) Regular training sessions/seminars were conducted for other officers of GPCB and industries to boost the concept of co-processing. a) The simple solar drying method for drying plastic waste by storing it in open plots within the industrial estates was adopted. Adequate fire fighting facilities were provided. b) Bailing machines were developed at a very reasonable cost through local engineering firms. These were then used to bail plastic wastes for ease of transportation. 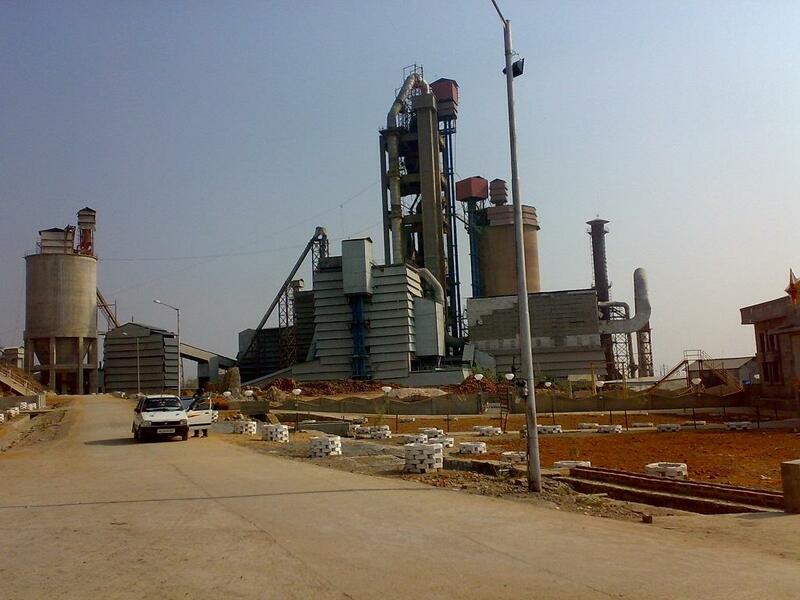 c) Cement plants set up proper storage facilities within their premises. d) Cement plants were assisted to develop shredding machines through local engineering firms at a reasonable cost. e) Long-term MoUs between paper mills and cement plants for co-processing of waste were worked out. After two years of hard work including conducting a series of meetings and brainstorming sessions to work on each of the challenges, several trials at source and also at cement plants, the plastic waste was successfully co-processed in cement industries in Gujarat. 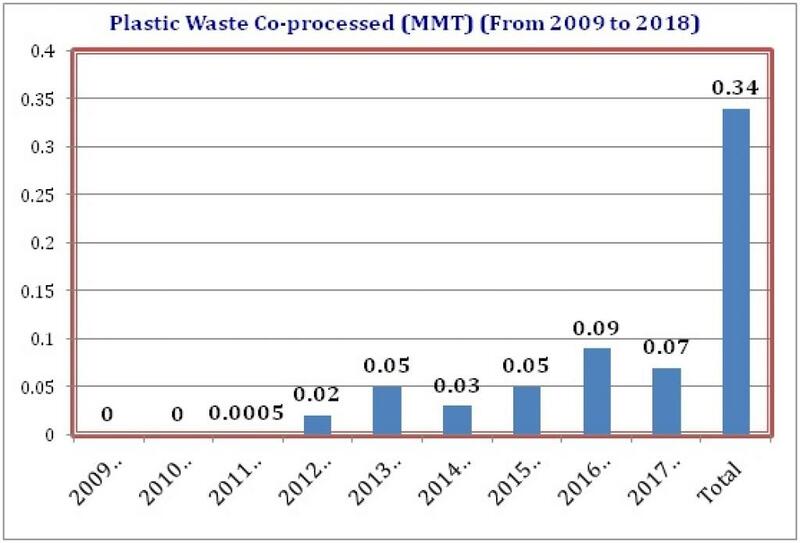 Looking at Gujarat’s success, cement industries from neighbouring Rajasthan also approached the GPCB and started using the said plastic waste as thermal substitute in their cement kilns from the year 2012.
a) Reduction in overall emission of greenhouse gases. c) Utilisation of waste, which otherwise was a serious concern, as thermal substitute, replacing an almost equivalent amount of coal. f) The GPCB got a great moral boost and started working on several other types of wastesby adopting indigenous solutions, which also created new success stories in Gujarat. A success story from Gujarat that would surely show the path ahead to others. Credit surely goes to Dr. Hardik Shah for his untiring effort to make the initiative successful alongwith various other successful initiatives by him making GPCB bask in glory. While it is great to hear about such efforts to absorb plastic wastes into new production processes such as cement kilns, caution is advised as incinerators used in India may not filter all toxic gases through the chimney and these may still escape and get to enter our lungs and earth's atmosphere.